This is a preliminary study of the late Qing art and antique market and the collecting practices of government officials, focusing on Wu Dacheng (1835-1902) and his friends in the second half of the nineteenth century. It will discuss the following issues: art prices, the hierarchal structure of artworks and antiques, locations of major art markets, the social backgrounds of collectors, the bargaining techniques of officials, officials’ incomes, and how artworks and antiques were transmitted and transported. and 155 miles long, is surely one of the most paradoxical places on earth. Conceived as a buffer zone, the DMZ was intended to bring about a temporary ceasefire between the two Koreas in 1953. The result of a bloody civil war, the DMZ is still littered with active landmines and the ossified remains of war casualties. Paradoxically, however, since the ceasefire this silent “no man’s land” has had an aura of pacifism and environmentalism. The DMZ provides an ecological for many endangered natural species amidst the highly industrialized Korean peninsula. 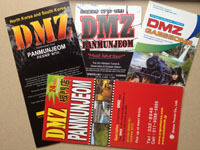 This paper explores these contradictory impulses that make the Korean DMZ a unique tourist attraction. A perennial destination for separated families living in South Korea who see the place as the closest approximation of their lost hometown in the North, the DMZ is also a staple site in the itinerary of foreign visitors who seem to be primarily attracted by its significance as the last bitter outpost of the Cold War era. If one nation’s trauma is the primary force for attracting local and global visitors, how does it upset the conventional notion of mass tourism as a way to encourage pleasure and leisure? If the element of consumptive desire should be rectified in DMZ tourist discourse, then what alternative rhetoric fills that gap? I attempt to tease out the ways in which global and local tourists claim this unique geopolitical biosphere by taking a closer look at the much contested perspectives championing the ecological value of the DMZ and the local anxiety to remedy national trauma through its eventual abolition. 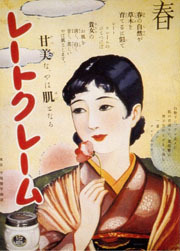 Starting in the 1880s, there appeared in Shenbao many advertisements selling imported Japanese books. Most of them were illustrated painting manuals brought by very specific bookstores or individuals, such as Wang Yemei, the Shanghai painter who sojourned in Japan. This phenomenon went beyond the ordinary advertisements in Shenbao and had been well observed at the time by the famous Japanese entrepreneur Kishida Ginko, who pointed out the amazing profits involved in this trade. This was the first time in history that Japanese books flowed into China, instead of the other way around. And in such great quantities, it is a phenomenon on which sufficient attention has not been paid in the academic field. 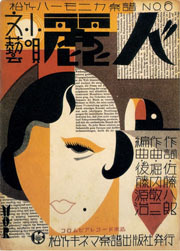 Why were Japanese books, especially painting manuals, so popular in Shanghai? By whom and how were books chosen for the Shanghai market? What specific kinds of books were selected? Most importantly, who were the readers of those books? In order to answer these questions, we need to know that this period in Shanghai was one of great change in the history of Chinese publishing, when lithography and copper-plate printing were introduced commercially in Shanghai and were competing not only with each other, but also with traditional wood-block printing. Along with the help of the new style of advertisements in newspapers, the variety and quantity of books available in the market were unprecedented. Therefore, in addition to picturing how and what kind of Japanese books circulated in Shanghai as well as reconstructing the trans-cultural and social networks involved that facilitated the flow of books, this paper aims to show how not only reading, but also reading illustrated books (most importantly, foreign and exotic illustrated books) had become a visible scene in the urban leisure life of Shanghai in the late nineteenth century. This was a scene fueled by money and a craving for visual entertainment in the cosmopolitan setting of Shanghai. Argument: Leisure can be viewed as a technology of government in contemporary China, a project of social ordering directed at shaping certain kinds of conduct. As with all social ordering projects, however, the unintended outcomes – Foucault’s ‘instrument-effects’ – bring about their own social (dis)orderings in unexpected ways. Consumer citizenship may thus be viewed as both the effect of ordering projects as well as the political outcome of unintended processes of subject formation that such projects unintentionally bring about. The paper will explore this thesis from a spatial perspective, focusing on spaces of tourist consumption as exemplary ‘governable’ spaces, and offering some preliminary speculations by examining examples of tourist landscapes in Chengdu and Guizhou. The final case explores the ways governable spaces of leisure modeled on urban-based consumer citizenship have become projects in the reform and ordering of rural society as well. What is the relationship between leisure and social control? What sort of governmental technology is leisure? Leisure and social control in China? Visitable places – produce ‘model consumers’ rather than ‘model citizens’? The fact that opium took root very quickly in China during the first decades of the nineteenth century is well-known and has driven the attention of many scholars. In order to explain it, they came out with a series of reasons that made Chinese society prone to take up the habit in such a short period a time. The purpose of this paper is to reconsider this success in the light of intercultural comparatism. First, a series of clues points at the fact that the success of opium in China was not unique in Asia; it had an important presence in at least two other places, namely, India and Java. But interestingly, these two countries did not belong to the sphere of China direct cultural influence. By contrast, China’s neighboring countries, which shared many cultural feature with China (Vietnam, Korea, Japan), never reached high levels of consumption. As a consequence, the specific success of opium in China was also the result of a transcultural exchange, but one that never took place. The case of Japan, which remained remarkably hostile to opium, points at the decline of China’s prestige and influence (the Western powers became the models to emulate) as the main reason for this great divergence. Because the practice did not percolate through its neighbors, China turned out to be seen (in western eyes, but also more widely) as “the country of opium”. 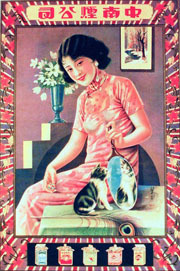 The vision of the Chinese opium smoker lying on his couch with the relevant paraphernalia became a cliché. This fact was crucial because it provided the main reason for the specific hostility towards opium that became a feature in the weltanschauung of the intellectual progressive elite of the late nineteenth century (for ex. Yan Fu, Liang Qichao). Opium, seen a source of national humiliation (guochi) became their bête noire and they soon succeeded in convincing all layers of society that opium was a key factor in China’s weakness. The three campaigns (1906-1916, 1935-1940, 1950-1953) which lead to eradication are the consequence of the existence of a consensus over the absolute necessity to suppress opium. The “new” Indonesian middle class emerged in the early 1980s in the context of New Order educational expansion, economic growth, and bureaucratic consolidation (Hill 1994; Robinson 1996; Tanter and Young 1990). Among specialists of Southeast Asia, however, questions emerge as to how to define this new Indonesian middle class. What, after all, is so “new” about it? Is the key political participation, economic mobility, or something else? The German sociologist Solvay Gerke (2000) has suggested that in the late 1990s, the emerging middle class was identifiable by its consumption-oriented lifestyle and leisure habits that included shopping, sports, travel and watching Western movies. Adopting a Bourdieuian framework, she argues for an approach that considers lived experience or habitus as not only constitutive of class but also as embodying the distinctive aspects which distinguish one class from another (2000:146). Drawing on Gerke’s suggestions, I examine the lifestyles and leisure habits of educated Javanese youth in the city of Yogyakarta. Largely overlooked in studies of the Indonesian middle class (see Robinson 1995, Shirashi 1997, van Leeuwen 2005), Islam, I suggest, is a central element in the new middle-class habitus. I argue further that the growing resurgence of Islam among the Indonesian middle class has implications for modern forms of leisure and consumption, and is nurturing the development of multiple and competing forms of middle class modernity. The largest and most influential Chinese-language publishing house in the late 19th century was the Shenbao guan in Shanghai. It was owned by foreigners, and run by Ernest Major. Its products were designed to fill the newly opening leisure time/space of urban residents. The company has been denounced since the late 1920s a being only after money and profit, and imperialist exploitation at that. Surprisingly, the pronouncements of the company itself on this issue were explicit. “We are a commercial enterprise.” The paper will study this self-presentation in its historical context. Modern print products were first made available by missionaries. While their publications mixed religious and general information, including reading matter for leisure hours, these were subsidized publications with the ultimate aim of religious advocacy. Read against this background, the Shenbao guan statement gave ultimate agency to its Chinese readers by proclaiming that its dependency as a business enterprise hinged on their acceptance. This was a highly effective strategy of disclaiming any charge that it was a company pursuing religious or political advocacy, and opened the way for its developing into a cultural hub that was seen by substantial numbers of Jiangnan men of letters as “their” publishing house. This allowed the company to pursue a commercially effective and culturally contributive role in the modernization of the Chinese public sphere. If the currency design serves as an ideological barometer, the first reminbi (People’s Currency) issued at the founding of PRC in 1949 came as a surprise. Of the sixty-two designs comprising the first set of reminbi, only two of them feature worker-and-peasant bust-portraits. For the socialist discourse that glorifies the worker-and-peasant duo as the “master of society,” this iconographic anomaly needs to be accounted for. Why was it so rare to install the worker-and-peasant duo on the face of the People’s Currency? How did these two designs manage to get there on the eve of the founding of PRC? Who were the sitters for the worker-and-peasant duo featured in these exceptional designs? Why did the portrait sitters belatedly come out of obscure anonymity to claim their modeling roles four decades after the fact? Why are there conflicting claims? Who are the real ones? Above all, should the icons of generic worker-and-peasant images be identified as individuals? How do we speak of the visual representation of socialist subjectivity in the postsocialist years? These are the questions to be addressed in my paper. Coffee in Japan has a complicated calculus of value. The organization of coffee consumption focuses on three “highs:” high quality, high “production” and high cost. In each of these there are cultural storylines shaping ideas of value in production and consumption. There are also many surprising stories. 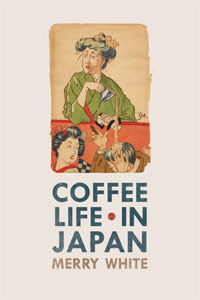 Japan is third in imports of coffee after the U.S. and Germany, first in standards, making Japanese vetting of new crops or new fazendas important in marketing beans anywhere. 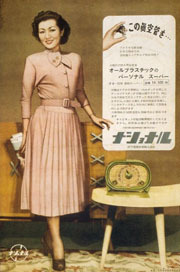 Japanese have been drinking coffee since the 1600s when prostitutes in Nagasaki found it useful for their work. The first café of record was created in 1888 by a Japan-born Chinese man whose coffeehouse’s popularity led to his financial downfall – and his emigration to Seattle. But above all, the social and personal economics of contemporary life in Japan make cafes (or kissaten) everyone’s destination. Why they are ubiquitous and necessary is the product of social, cultural and personal calibrations – an “economics” of time, money and perfectionism. What does it take to make a lowly Chinese opera singer, whose performances are filling the newly opening time/spaces of urban leisure, into a national and international star at the turn of the twentieth century? Talent will be essential, but it is not enough. A key condition is his/her social staging. Among the public measures of such an opera star’s brightness is the income level he enjoys through his work as a performer, the contracts he gets for performances around the country, and the translation of his stature into the kind of stage costumes he is able to afford for all see. There are, however, other kinds of material manifestation that signal stardom, chiefly among them an actor’s residence. Money in this case is only one factor, patronage support is needed to secure a splendid and highly visible residence and to make sure it is filled with goods high in the political and cultural register. This paper focuses on the symbolic accoutrements of the standing of a star as expressed in the willingness of a patron to articulate his appreciation through a gift worthy of such a star. The case study will focus on the purchase in 1916 of a mansion with thirty some rooms and a spacious leisure garden by a wealthy patron of the female impersonator Mei Lanfang in a generous effort to buttress Mei’s visible signs of prestige and taste, and to provide a stage for his private off-stage interactions. The study will address the shifting relationship (1) between culture, money and stardom; that is, how these forces constantly translate and exchange in form between symbolism and monetary gains; (2) between what might be considered private to that of being public; the ways in which a private home is transformed into a public stage; (3) between animate and inanimate status of an object; that is a residence becomes the outer identity of the star, the star treats the home as a tangible force to craft this identity, in the process merges his own self esteem and worth with it. The cultural capital and material means and the performativity of stardom merges into a revolving asymmetry of exchange.